Do you know these symbols of the Last Frontier? Alaska is a land rich in culture, incredible beauty and bountiful wildlife. It has endless adventure and opportunity, and all of the people, places and things in the Great Land have a unique story. One way we like to tell this story is through the state’s symbols, so keep reading to find out some fun facts behind the Last Frontier’s defining characteristics. State Bird – The willow ptarmigan, affectionately known as the mountain chicken, is an arctic grouse that changes from light brown in the summer to snowy white in the winter for camouflage. State Dog – Alaskan malamutes are large dogs that have been used for transportation, bear alarm systems and simply as companions for their gentle nature. State Fish – King salmon can grow to be more than 100 pounds and are coveted by grizzlies and fishermen alike for sport and for sustenance. They are known by many names but everyone can agree that this fish is truly a catch. State Insect – Just like Alaska bush pilots, four-spotted skimmer dragonflies can be spotted across the state, flying quickly from place to place. They also prey on mosquitoes, which are sometimes so abundant in the summer, many joke that it’s our true state insect. State Land Mammal – Alaska’s state land mammal is naturally the moose – the largest member of the deer family and a common sight in both rural and urban areas across the state. Don’t be surprised if you see one wandering around downtown city streets and through residential yards, snacking on greenery as they go. Throughout Alaska’s history they have been a source of food and clothing, and though they might look friendly, it’s always important to keep a respectful distance from this wild animal. State Marine Mammal – The bowhead whale has been slowly making a comeback after being nearly hunted to extinction. Bowhead whales swim slow and solo near the shore, making them historically very important to hunters in coastal Alaska villages. 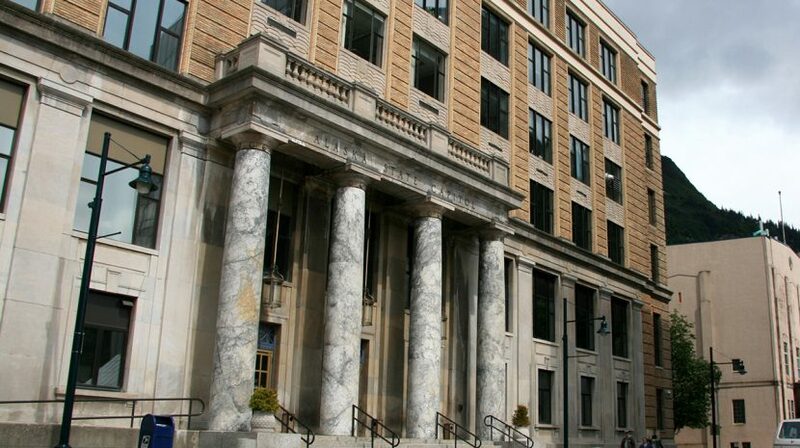 State Capital – During Alaska’s days as a territory, Juneau was a gold-mining powerhouse. It made sense for legislation to meet on the panhandle, as it was the most developed part of the state at the time. State Flower – One of the only plant families in the world that displays truly blue flowers, alpine forget-me-nots grow throughout Alaska during the summer months.